Clare is a Senior Faculty Member and Instructor of William Glasser Institute (US) since 1999. She was the first person from Singapore to be Certified in CTRT in USA. She has trained all the instructors currently practising in Singapore and has conducted more than fifty 4-day training workshops. A psychologist since 1991, she has extensive experience in working with children, adolescents, adults and families. She was a Senior Educational Psychologist at the Ministry of Education and a School Psychologist in USA. Currently in private practice, she provides psychological/counselling services, teaches Masters/undergraduate psychological courses. 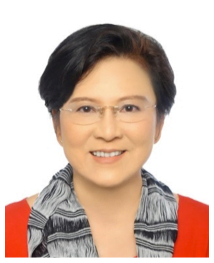 Dr Ong was trained in US in school psychology and counselling psychology. Previously, she was the Head of Science in a secondary school, a guidance officer and later as a senior educational psychologist at MOE. She has also worked in public schools, child and adolescent psychiatric hospital and Child Developmental Center in a Hospital setting in Indiana, USA. Besides conducting psychological assessments, she used approaches Choice Theory & Reality Therapy, Cognitive Behavioral Therapy, Virginia Satir , EMDR and Play Therapy in her psychotherapy sessions. She is the Senior Instructor and Faculty Member of William Glasser International (WGI), William Glasser Institute Singapore. She has trained practicum supervisors and Instructors of WGI. Dr. Ong also supervised Masters degree students in Clinical Psychology, Educational Psychology, and Counseling in their practicums from JCU, NUS and NIE. She is a Full Member of APA, NASP, APT, SRP, SAC and a Registered Psychologist, Counselor and Clinical Supervisor.